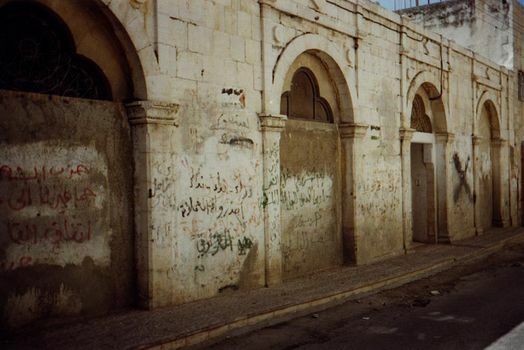 Rehabilitation of private houses in Bethlehem is expensive and paid for by the owner. Partly for that reason, not much has been done. Besides, "Old is Bad; New is Good" is a powerful esthetic principle. Because the old city lies on a ridge with roads on contours, houses on the side of the street sloping downhill can be very deceptive. This building looks like a one-story warehouse. Come round to the back side. ...and you see a two-story building, with the street-level upper floor glassed in. The owner had second thoughts later on and took a different approach when rehabilitating the lower floor, where he lives. The lower floor, formerly stables, has been converted into a handsome apartment. It hasn't been cheap, and not every architect thinks it makes sense, but the owner is very happy with the result. 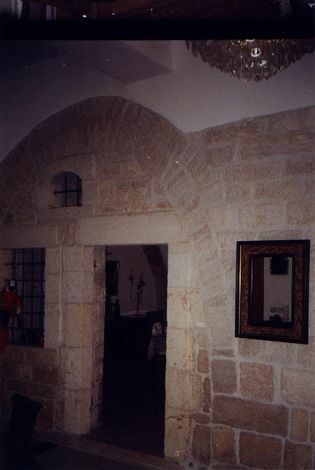 Another attempt at the private rehabilitation of a Bethlehem House. 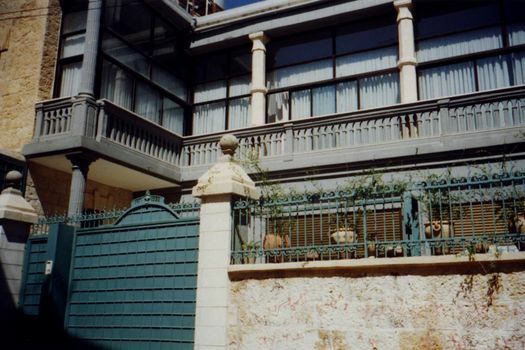 From the street, the house presents a stone wall with steel gates. 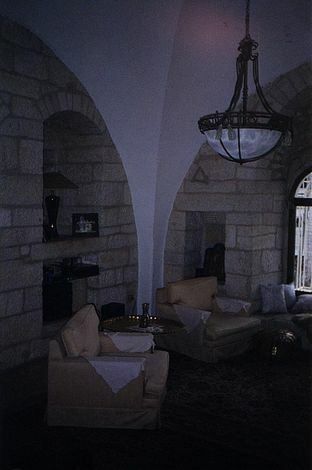 Inside, there's the classic contrast of stone walls and plastered pendentives. 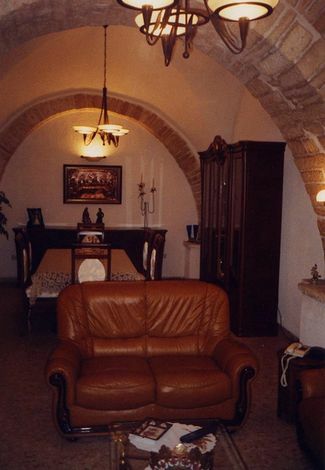 The owner is a French-trained architect who teaches at Birzeit University and who supervised the rehabilitation of the basement apartment shown in the previous pictures. Here he has redone his father's house. It was more expensive, he says, than tearing it down and starting anew. 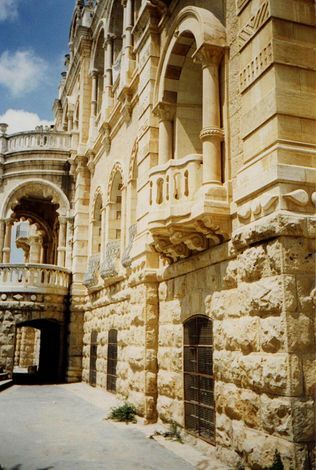 The grandest villa in Bethlehem was built during the First World War by Suliman Jasser, an exporter of crafts to Europe. 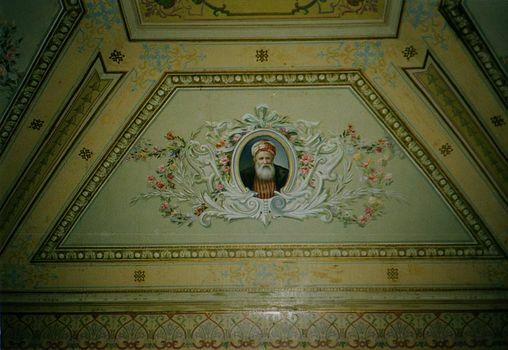 His portrait, painted by a Frenchman trapped in Palestine during the War, adorns the parlor. 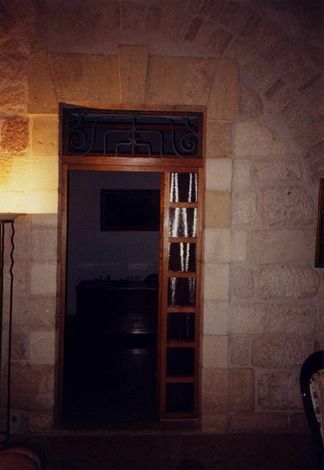 Jasser lost his money in 1929, and the house for many years afterwards operated as a school. What then? 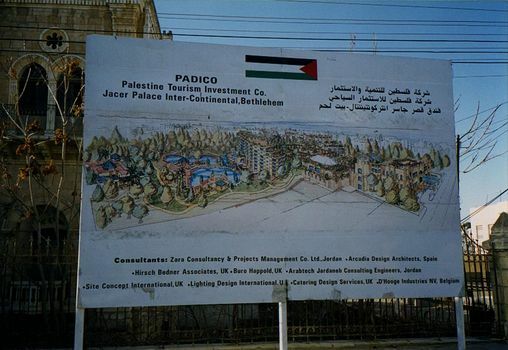 The Jasser Mansion became Bethlehem's first 5-star hotel, an Intercon. The timing couldn't have been worse. Like the Marriott in Cairo, wings were added to the original mansion, which became the lobby. 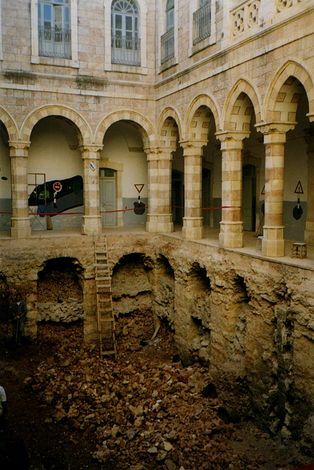 The courtyard during excavations made in the course of the hotel conversion.